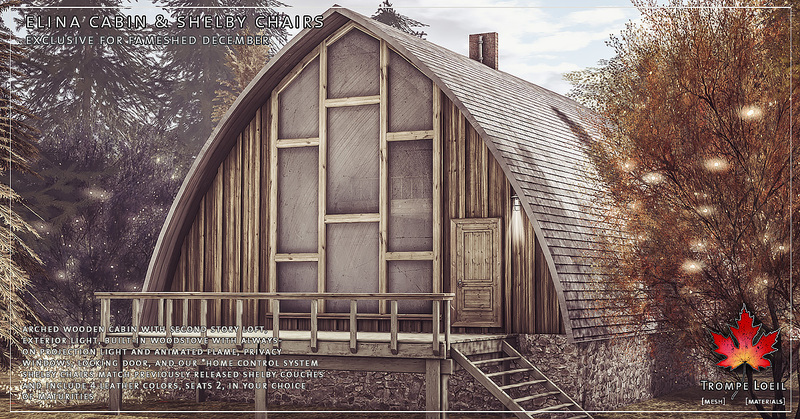 A little unique, a little rustic, and plenty of style – our Elina Cabin at FaMESHed December takes you there! 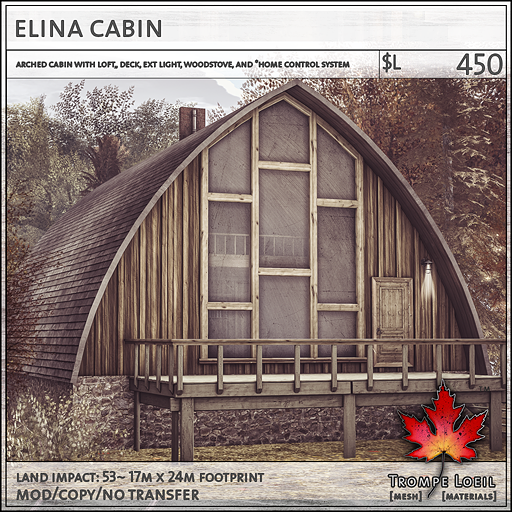 This extra-large cabin features an open living area and second-story loft, with built-in woodstove with always-on animated fire and soft projection lighting, exterior light, locking door, privacy windows, and our *home control system. 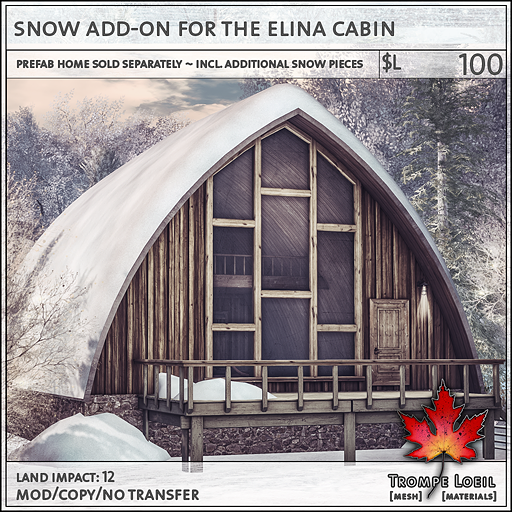 Snow add-on also available! 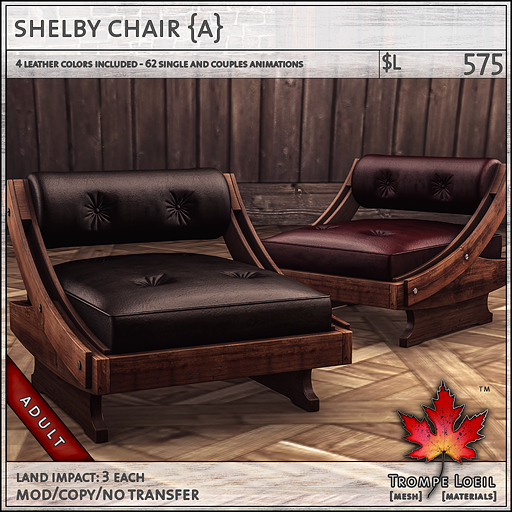 Plus, we’ve had so many requests for a chair version of our popular Shelby Couch from September that we couldn’t resist! 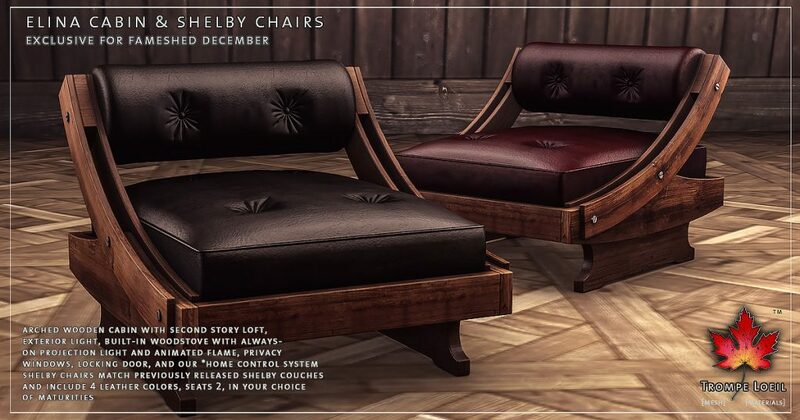 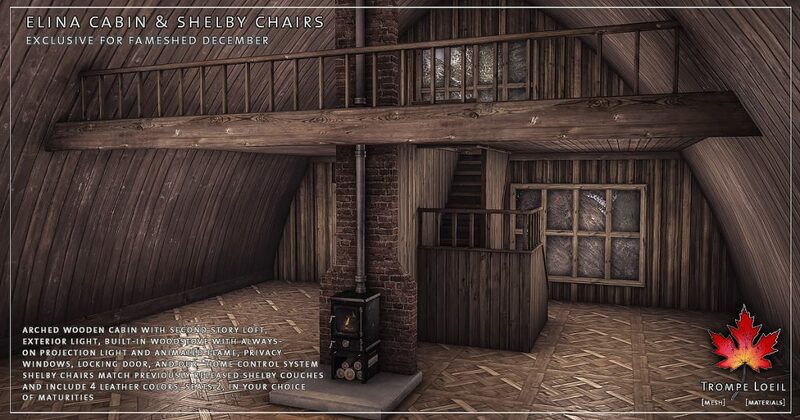 The Shelby Chair matches the Shelby Couch (available in our Mainstore) perfectly, with 4 leather options and tons of animations in your choice of maturities. Only at FaMESHed December!